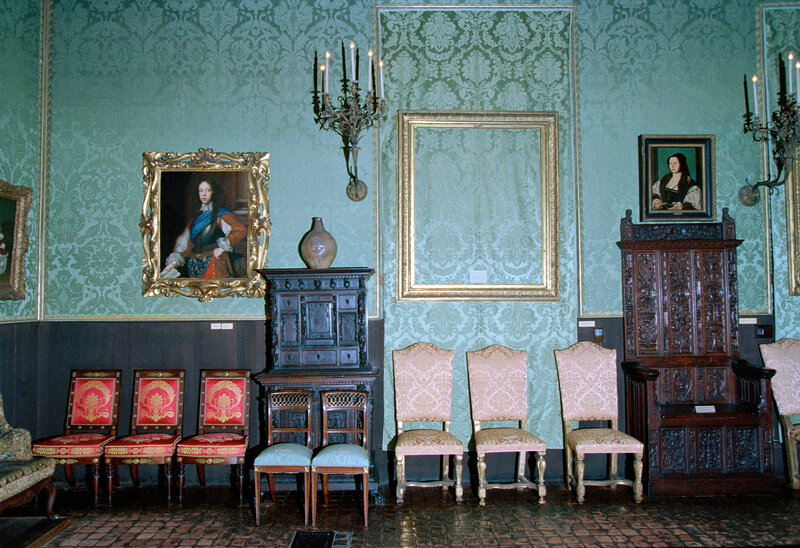 Boston’s National Public Radio station WBUR and the Boston Globe have produced a podcast series dubbed Last Seen on the greatest unsolved art crime in history, the theft of 13 masterpieces from the Isabella Stewart Gardner Museum on March 18th, 1990. The case has bedeviled authorities local and federal for 28 years and is still being actively investigated. The reward money is now up to $10 million, and yet, concrete evidence of any kind remains elusive. The 10-episode series will look at the events of March 18th, 1990 and follow the track of the investigations, but it won’t be a retelling of what went down. There will be interviews with people who have never been interviewed before, among them the second security guard on duty that night and in-depth examinations of the investigative trail over the decades. The reporters have been given unprecedented access to the Gardner heist materials and many of those materials will be posted online in tandem with the podcasts. Who pulled off what the FBI describes as the largest property crime case in U.S. history? Was it a mob associate who ran the TRC Auto Electric repair shop in Dorchester, the Irish Republican Army and Whitey Bulger, two wannabe rock ‘n’ rollers or someone else entirely? Last Seen looks at these and many more suspects as hosts Horan and Rodolico travel from Boston to Philadelphia, Florida, Ireland and Italy investigating motives, scenarios and dead bodies with key players and leading experts on the robbery. The series begins on September 17th and subsequent episodes will air every Monday. There’s an associated Facebook group you can join to comment on the podcasts and discuss it with other listeners. If you have iTunes (I broke up with it years ago and it was a nasty split), you can subscribe to the podcast here. The podcast will also be available for streaming on WBUR’s Last Seen page and for streaming and download in any other of your favorite podcast purveyors (here it is on Podbay.fm, for example). Get a tantalizing taste of Last Seen in this excellent trailer. That old-time radio announcer opening and the clips of statements from investigators, witnesses and suspects give it a genuinely haunted crime-thriller vibe. This entry was posted on Friday, July 20th, 2018 at 4:04 PM	and is filed under Looting, Modern(ish), Multimedia. You can follow any responses to this entry through the RSS 2.0 feed. You can skip to the end and leave a response. Pinging is currently not allowed. I’m not into podcasts. I wish it was on PBS. I am not sure it was the greatest art crime the world has ever seen, but it certainly was a heartbreaker. I visited for the first time _after_ the thefts, and saw the empty spaces on the walls. But here is the question. If the Boston thief was not merely a violent, destructive brute, he may have hidden the selected works of art to preserve and love. Only once in my life was I so besotted with a work that I thought about theft. The huge frame wouldn’t fit under my jumper of course, but it did show me how flexible human morals can be. Podcasts are free and have no end date. I am looking forward to the series, too.